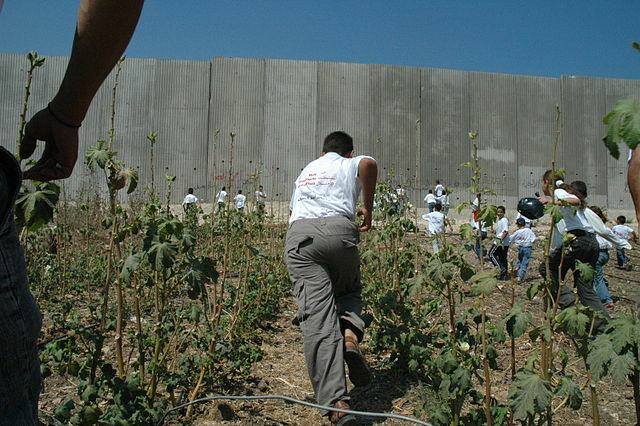 Palestine (OpenDemocracy) – On Friday March 30, over 30,000 Palestinians peacefully approached the border area of the Gaza strip to bring attention to their unfulfilled right of return to their families homes inside Israel and to highlight the ongoing plight of living under Israeli occupation. Israeli military forces responded with lethal force, deploying troops, drones, tanks, and snipers who fired on the crowds using live fire, rubber-coated steel pellets, and tear gas. By the end of the day, fifteen Palestinians had been killed – many of them plainly unarmed – and over 1,000 wounded. By the end of the following week, 31 Palestinian lives had been taken, including that of journalist Yaser Murtaja who was hit despite wearing a blue jacket marked with the word “press.” Israeli snipers have shot and wounded five other Palestinian journalists. Public health conditions in Gaza have deteriorated. An estimated 96 percent of the groundwater supply is undrinkable. Making matters worse, the Trump administration cut more than half of funding to the United Nations agency for Palestinian refugees – funds that have long provided life saving nutritional and medical support. The viscerally shocking killings in Gaza have recaptured international attention, even securing sympathetic air-time on MSNBC, a major U.S cable news outlet. The spotlight provides an opportunity to redirect focus to the more insidious side of Israeli occupation, like land grabs and Israeli settlements — well-funded, fortified hilltop cities built in Palestinian territories. The expropriation of Palestinian land continues unabated, and the development of Israeli settlements has intensified. Just a few months ago, Israeli Prime Minister Benjamin Netanyahu approved building plans for 3,736 new settlement units,announcing in the West Bank “we are here to stay.” Almost 600,000 Israeli citizens currently reside in settlements – a population growing at a rate two times higher than that within Israel. I recently witnessed the impact of Israel’s land grab and development strategy in the West Bank with a Global Exchange delegation. We heard from Palestinians dispossessed of their lands and homes for alleged security reasons only to later find mobile homes (or, “outposts”) mark the groundbreaking of yet more Israeli subsidized settlements. We maneuvered fairly freely via an expansive network of Israeli-only bypass roads and highways conveniently facilitating movement between settlements and Israel proper. Palestinians, though, view Israel’s security justification as yet another pretext to displace them from their homes. It’s seen as a palatable guise for Israel’s century long “colonial gentrification” of historic Palestine – the uprooting of indigenous peoples by settlers and imperialist powers. While impossible to list the litany of historic grievances, Palestinians often reference the demographic history of the Southern Levant, a region that for hundreds of years had been overwhelmingly populated by an Arab Muslim majority. The 1917 Balfour Declaration (whereby the British declared that the then Ottoman region would become a Jewish national home, despite Jews only accounting for 3-5 percent of the population at the time) is referenced as a destructive political landmark that, along with the 1947 United Nations Partition Resolution 181, paved the way for the formation of the Jewish state in 1948 against the will of indigenous populations. This was Judea before it was Palestine. The Romans named it Philistina after the Philistines, our enemies, to humiliate us, rebrand us, and erase our identity. They overran us and dispersed us, and we lived around the world for thousands of years. We are unique in that we are a people with a memory that compelled us to return to our ancient homeland – and we came back. Farming sisters Fadeyeh and Ne’amehwere cut off from their land after it was seized to form part of a so-called “security” buffer zone around a settlement. 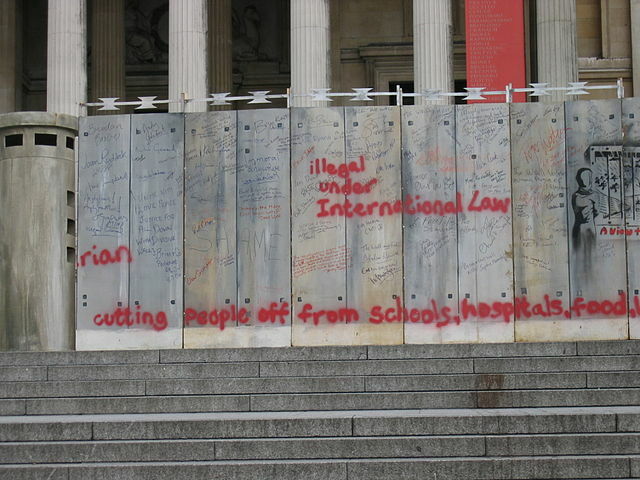 The creation of these special security areas became common in the wake of the second Intifada when suicide bombings that targeted Israeli civilians became a common tactic used by Palestinian armed resistance groups. The Bil’in farmer pictured here was cut off from much of the land he and his family once farmed to accommodate the construction of a separation wall and buffer zone for the neighboring Israeli Modi’in Illit bloc. Like Fadeyeh and Ne’ameh, he could apply for a permit but is discouraged by the fact that only forty percent of requests to enter the annexed agricultural land receive positive response. Limits on access have decreased farming in these areas by over eighty percent. Three out of four of Iyad’s sons have either been shot in protest or arrested in home raids. At the time of the photo above, Iyad’s 17 year old had been detained in an Israeli prison for three months, charges undisclosed. This is a common experience. Forty percent of the Palestinian male population can expect to be detained, according to Lana Ramadan from the Addameer Prisoners Support Association based in Ramallah. Unlike their Jewish counterparts, Palestinians exist under military, not civil, law. This means that they can be held by administrative detention — indefinitely, without charge, and without trial. 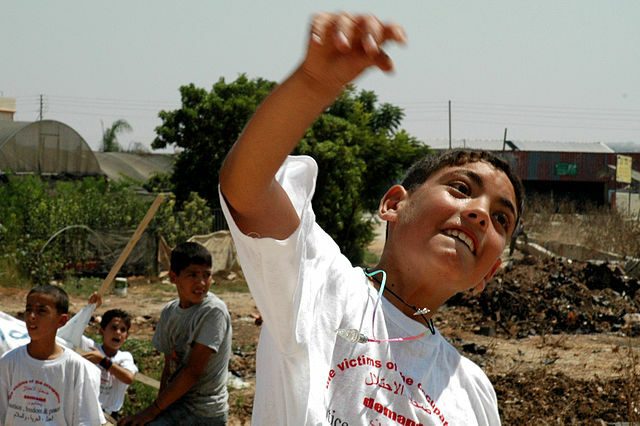 Children are overwhelmingly accused of throwing stones, an offense that can lead to 10 to 20 years, depending on location.